At City Love, our barbers are held to the highest extent of their craft. We have full and multi-licensed barbers that can fade, cut, and shave any hair. We pride ourselves on being able to work with all hair types so that anyone coming into City Love can get a high-quality shave or haircut promptly. We also enjoy offering veteran, active military, senior and student discounts. We love kids! 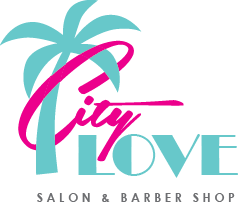 At City Love we want guests to rest assured that when their child leaves City Love Salon and Barbershop, they will feel empowered, unique, and be looking fly! Children under age 12 can get a haircut with shampoo, special braid, or line up with us seven days a week.